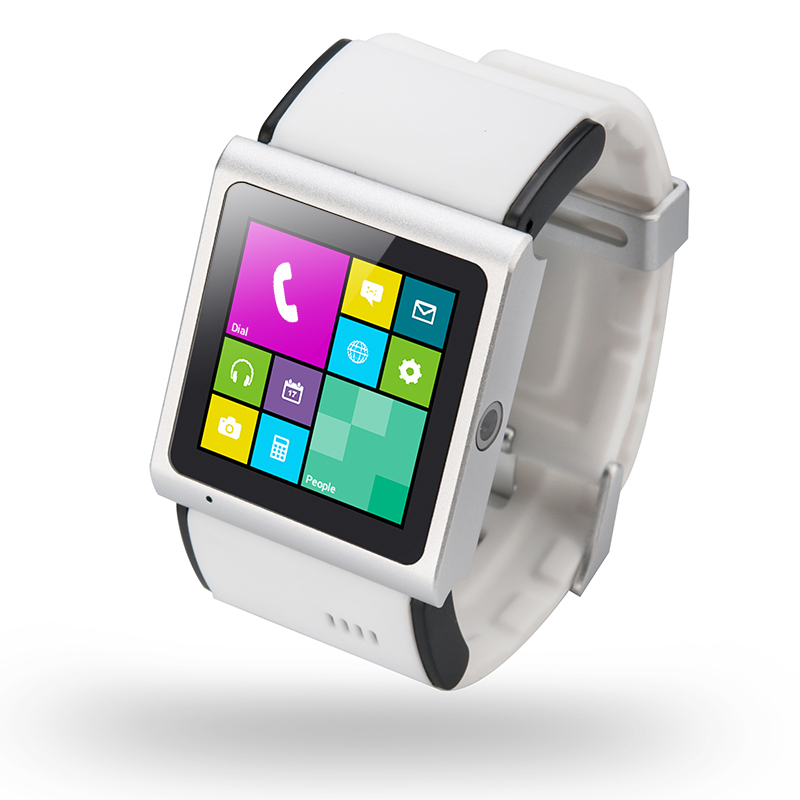 Successfully Added Android Smart Phone Watch "Liger" - 1.54 Inch TFT Touch Screen, MTK6577 Dual Core 1GHz CPU, 3 Megapixel Camera, 3G (White) to your Shopping Cart. Android Smart Phone Watch is the new way to interact and communicate as it features a stunning 1.54 Inch TFT Touch Screen, MTK6577 Dual Core 1GHz CPU in addition to a 3 megapixel camera and 3G connection. Times are changing and so are electronic gadgets and smart watches are becoming the new craze at the moment as it combines smart phone functionality with a wrist-watch practicality. Available now is this white smart phone watch that is known as the “Liger”, appropriately named because just like the animal, this watch is also a hybrid. Ready to be worn on your wrist, the “Liger” offers a convenient to use 1.54 Inch TFT display that has 240x240 resolution for watching media such as videos as well as letting you clearly see all the menus. Navigate with easy through the menus and setting because the “Liger” smart watch offers a capacitive touch screen so scrolling, zooming and sliding your way through will be even easier. There is a slot that supports a micro SIM card, therefore you can use the “Liger” smart watch as an independent stand alone phone making it more practical to answer calls as you won’t be searching through your pockets or bag looking for your watch plus with it being worn on the wrist there is less chance of losing it. A first for Chinavasion is that the “Liger” Android smart watch has 3G connectivity, meaning that it works with 850/1900/2100MHz to call anyone from almost anywhere plus you can surf the web. What helps boost the intelligence and the advancement of this wrist-worn watch is that it comes with an Android operating system, which allows for a true user friendly experience while having all the abilities that the most popular operating system offers. Download applications that are stored on the pre-installed Google play store and really make this smart watch phone your own. Capture the moments as they happen directly from your wrist as the “Liger” has a 3 megapixel camera, which can be expanded to 5 megapixels via interpolation. Powering all these specifications on the “Liger” is a mighty MTK6577 Dual Core 1GHz CPU that will deliver an above satisfactory performance that can handle all the functions and abilities without a burden. The "Liger" Android Smart Phone Watch is in stock now and ready for shipment within one working day with a 12 month warranty. Available only from the leaders in high quality wholesale electronics and smart phone watches, Chinavasion. very useful, unique ... I use it as a watch everyday and occasionally to call.